wrong dates in the poster above. Sorry. 5th to 9th December 2018. Just a quick question. Has anyone flown from Perth to Geraldton with Virgin and if so what do they allow baggage wise i.e. two boards plus sail bag? I'd be surprised if they take windsurf gear. The Perth Geraldton route is serviced by Fokker 100 aircraft... actually as far as I know they are just repainted Skywest planes as Virgin just bought Skywest. It's possible they will replace the planes with their own 737 aircraft but I wouldn't bank on it.Just fly into Perth, rent a car there and drive up. You are more likely to get a better price on a rental anyway.For what it's worth they state on their website that F100 can take upto 6 meters in length quote: "depending on the flexibility of the item" (www.virginaustralia.com/au/en/plan/baggage/oversized-fragile-items/)Probably best to call them and get what ever they tell you in writing. 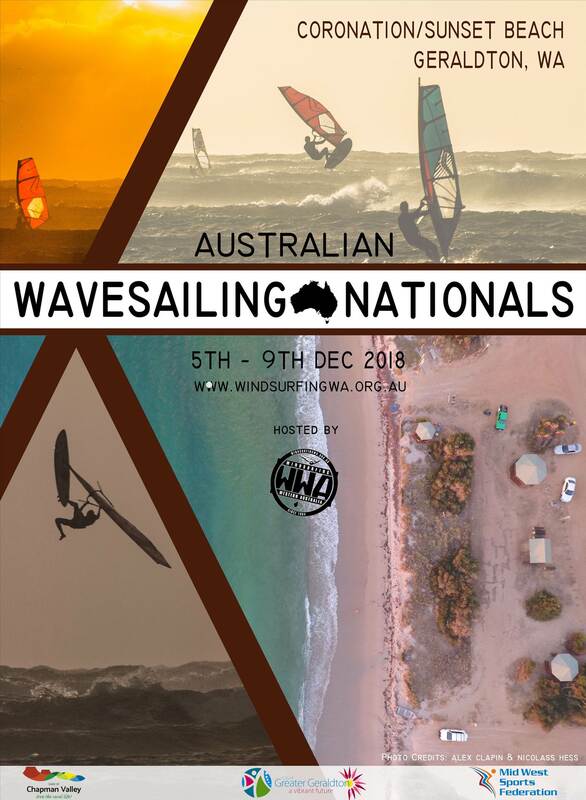 Stay tuned in regards to gear transport to Geraldton and while the Nationals are. We are looking at a few options for getting everyone and their gear from interstate to Gero. There is also a plan for a shuttle bus to and from the beach each day. Anyone got access to a tour coach and trailer we can borrow? Im happy to help with piling a big stack of boards and sails on the ute.